Home/BLOG/Ceramic or Standard Window Tint? Ceramic or Standard Window Tint? We stay busy installing window tint (or film, if you prefer) on vehicles here in Tyler Texas. Our two tinters (the industry name for experienced tint installers) have over 40 years of experience combined. The Texas heat and sun can be unbearable outside of your car, not to mention inside the car when it’s been sitting in the sun all day or driving down the road. The biggest advantage to window tint, as we all know, is to keep you and your vehicle cooler during the day. It does this by letting less sunlight into the vehicle and filtering out harmful UV rays from the sun. A good lifetime warranty film like our SunTek Standard Pro will offer great heat rejection and block a large portion of harmful UV rays. Another added benefit is protecting the interior of your vehicle. Over time, UV rays damage plastics and upholstery. Window tint is a for sure way to help keep your interior looking like new. "What is the difference between regular tint and ceramic tint for my car?" The simple answer, besides the price, is that there is a very significant difference between the two. We have displays in the store that will physically demonstrate the difference. But what exactly is it that makes ceramic tint that much better? This is a graph of the Solar Energy Spectrum. Basically this is the energy, light, and heat the sun hits us with on a daily basis. I will attempt to explain this in a fairly straightforward and simple way. We all know and have heard of UV rays. This is the bad radiation we all put on sunblock for and can cause numerous health issues. But as you can see from the graph, its only 5% of the spectrum. Infrared, however, is over 50% of the spectrum. The heat we feel during the day is not caused by UV rays but by the infrared radiation. That’s why temperature does not always determine the risk for getting sunburnt. It could be really hot, but the UV index could be low so you don’t need sunscreen. It could also be really cold with a high UV index and risk for sunburn. As we said in the beginning, we all know the biggest advantage to adding window tint is to keep you and your car cooler during the day. Most of the standard vehicle tint will block up to 99% of the more dangerous UV rays we want to avoid. Along with some heat and glare rejection, it helps for sure. But.. it does NOT help with Infrared radiation. Which as we just learned, is the actual heat we feel during the day AND accounts for over 50% of the entire energy spectrum we get hit with from the sun. So regular car tint doesn’t focus on protecting against the specific cause of our cars getting or feeling HOT, just the more dangerous UV rays. That is where ceramic tint takes over! Our SunTek CIR (CeramicIR) window tint with a real lifetime warranty not only protects against 99% of the harmful UV rays, but also rejects up to 70% of the infrared spectrum. It protects against the direct cause of the heat; Infrared Radiation. As you can imagine by just looking at the numbers, the difference you can feel between standard and ceramic car tint is huge. 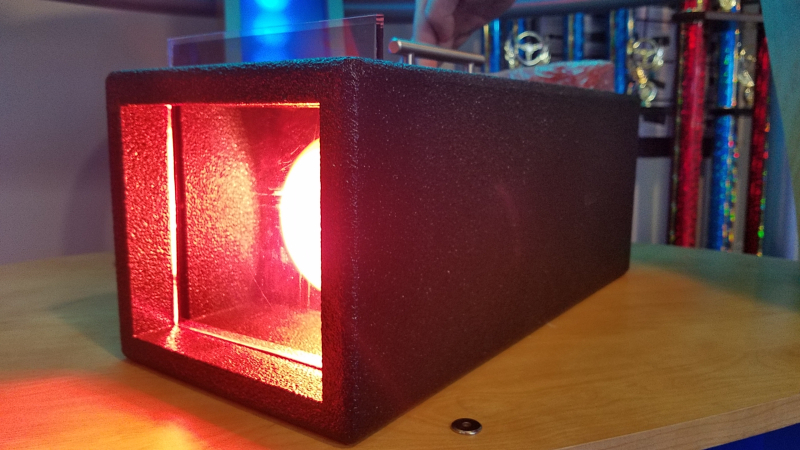 If infrared accounts for over 50% of the energy we get from the sun, is what actually causes us to feel hot, and ceramic window tint protects against up to 70% of that..
Well, if the numbers don’t give you a good idea, come check out our display in the store to get the full picture. Note: There are other types of vehicle tint. Specifically, Carbon or a hybrid Carbon/Ceramic tint are still used and offered by many companies, even by SunTek (the brand we carry). These are both a step down from a true nano-ceramic film. While they do provide some infrared rejection, there is a substantial difference in the amount of rejection. There is barely any difference, however, in the price. So the best bang for your buck will always be the true ceramic tint, not a carbon or a hybrid of the two. Which is why we only stock the best. Stereo and Video Center has been in business for over 40 years. We have the best, most experienced window tinter in Tyler Texas. We also carry the best window tint for your car. We like being the best, because our customers deserve the best. So give us a call and get what you deserve! TV Mounts - Which one is right for you? Home network issues? We have solutions! Does your business need voice control?